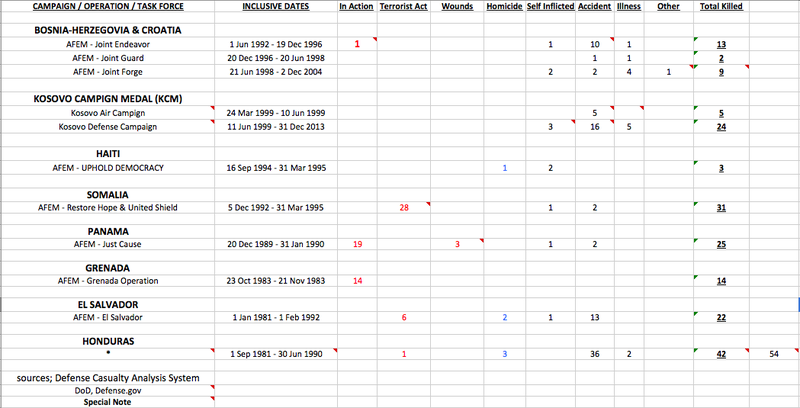 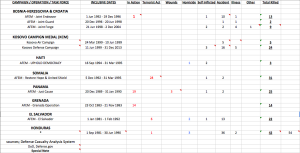 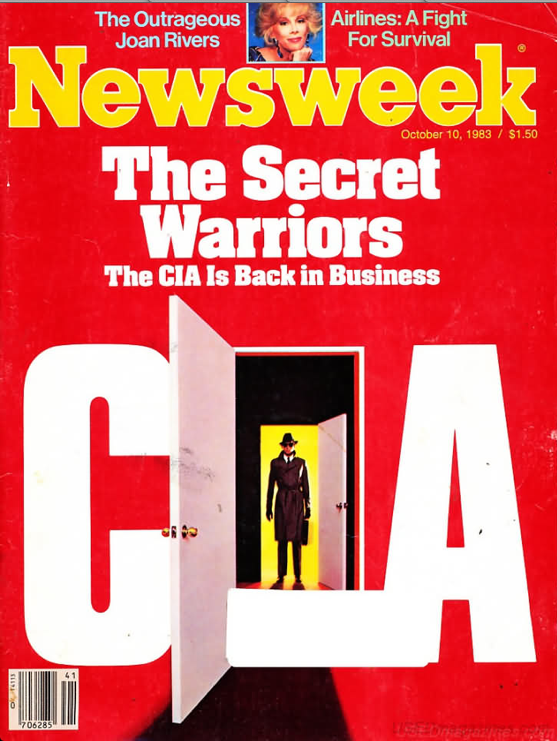 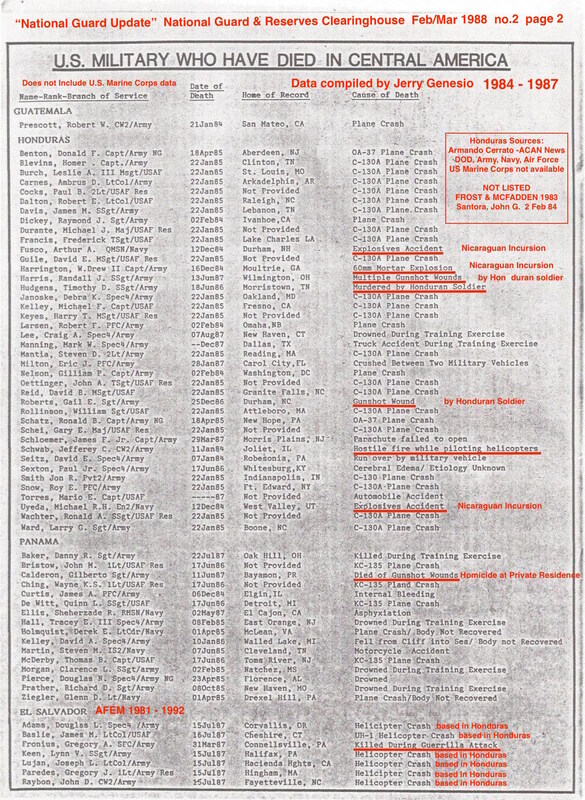 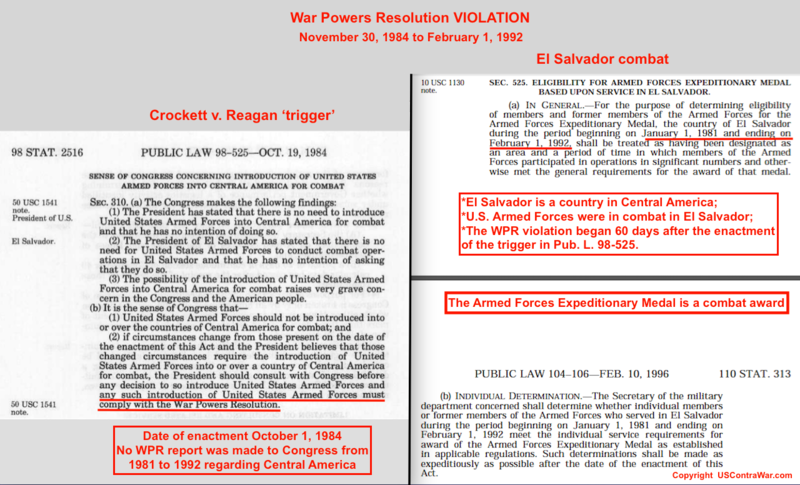 These ‘known’ incidents should have been reported by the Executive Branch to Congress under the AECA / WPR! 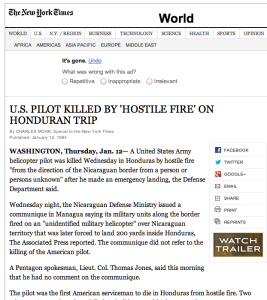 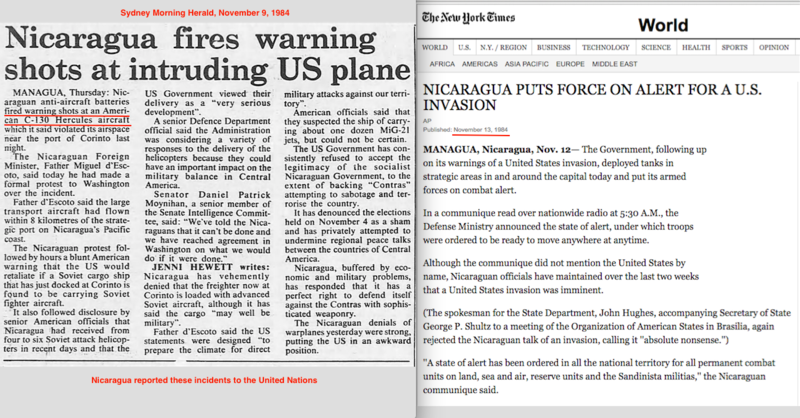 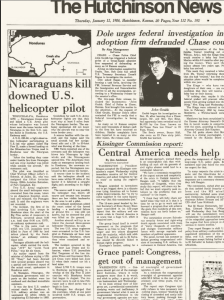 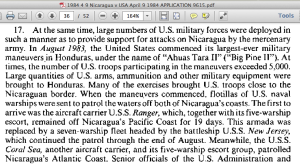 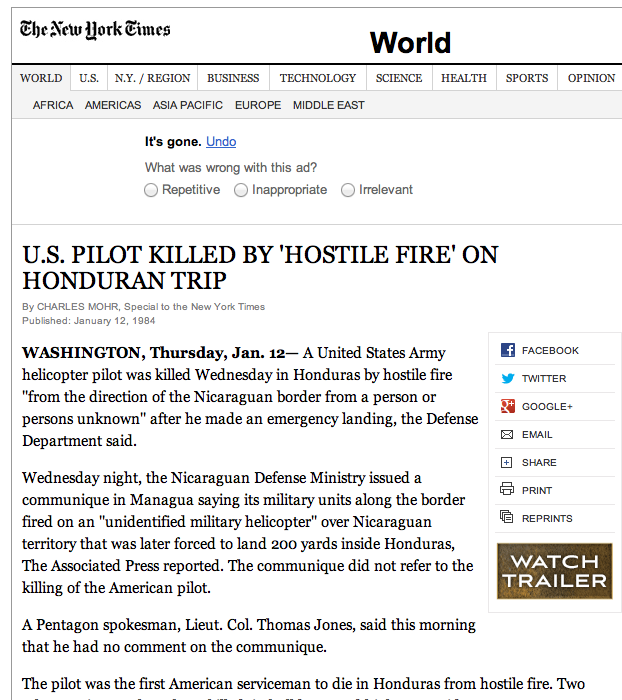 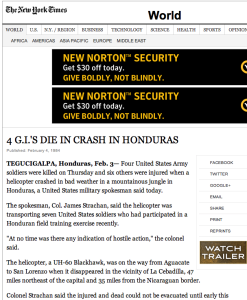 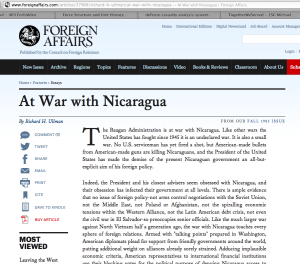 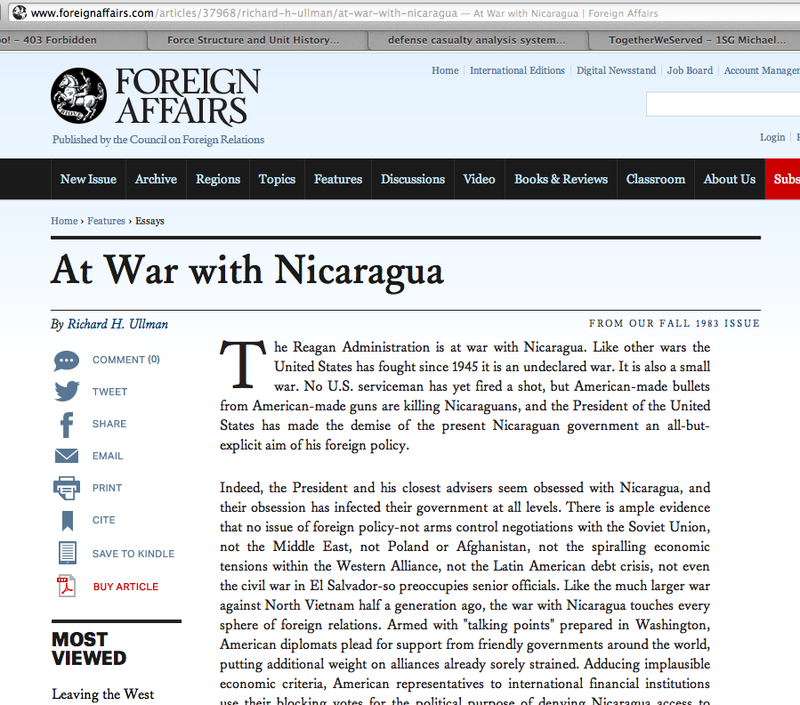 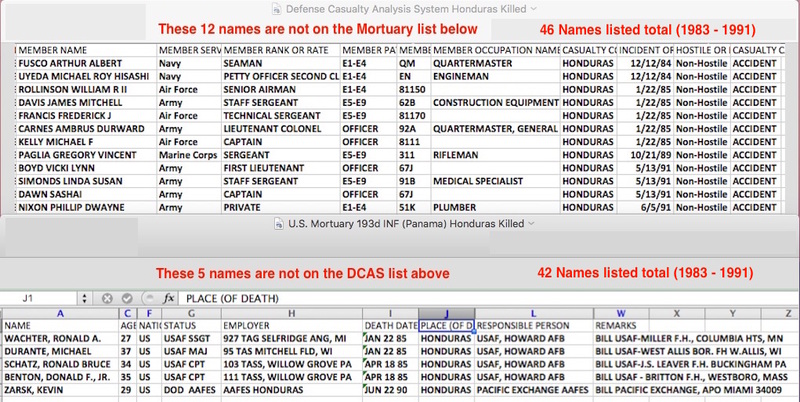 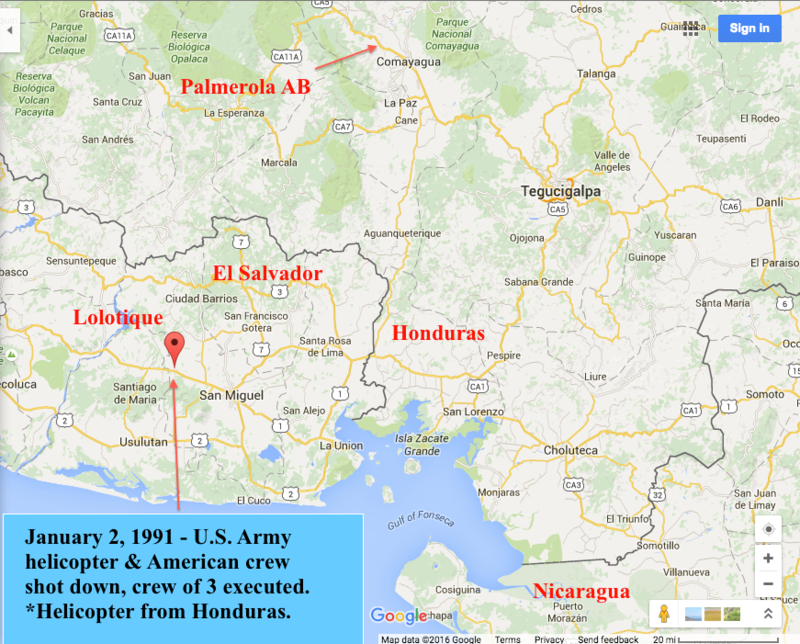 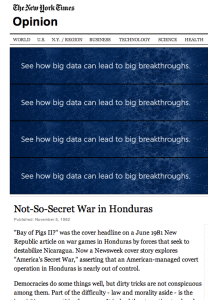 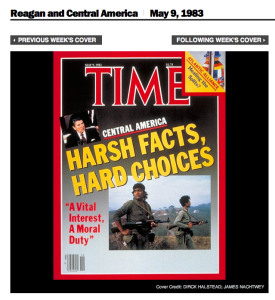 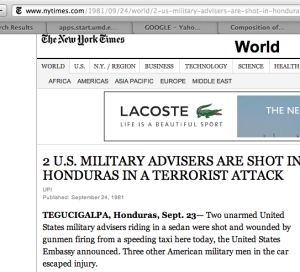 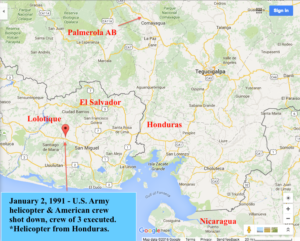 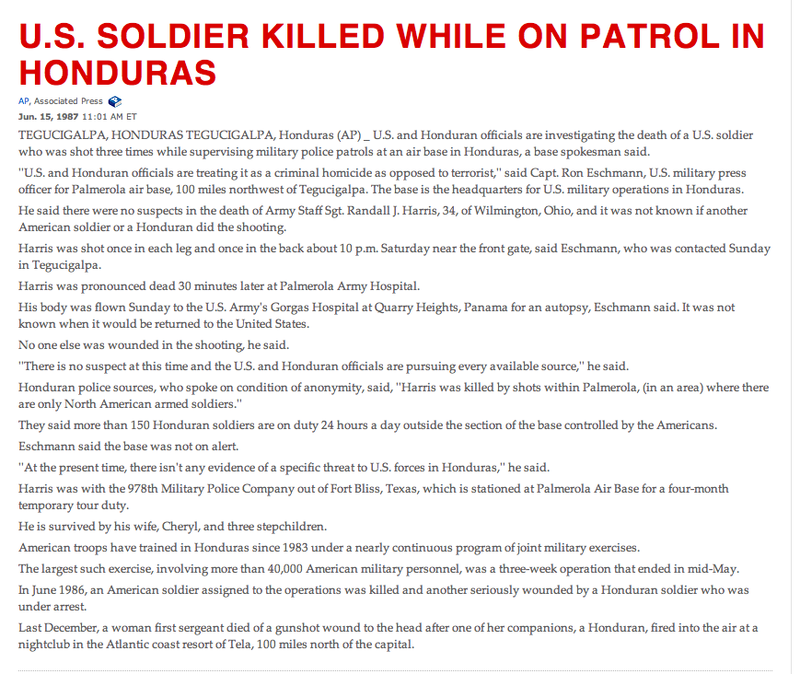 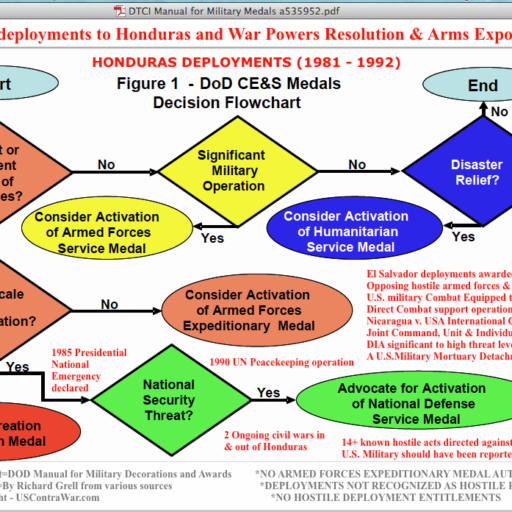 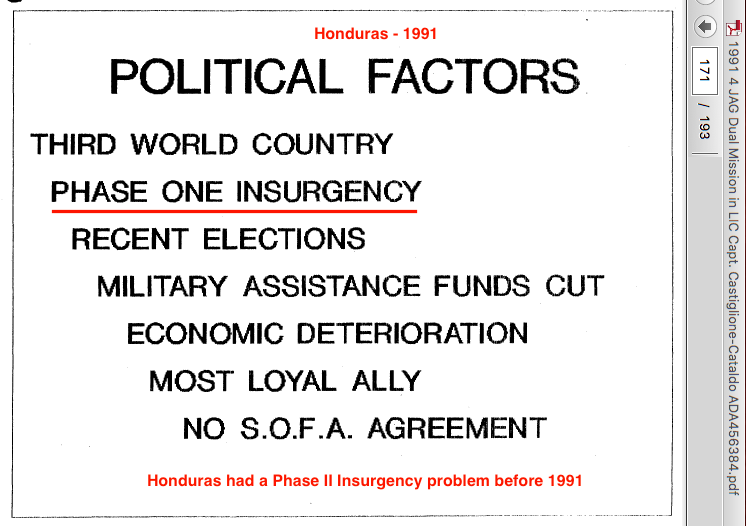 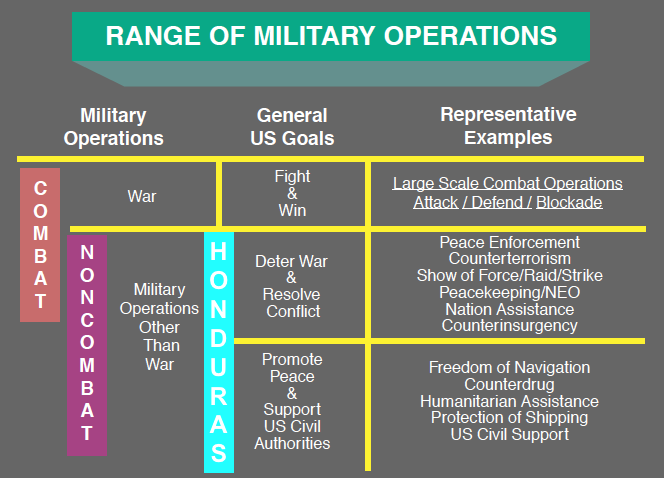 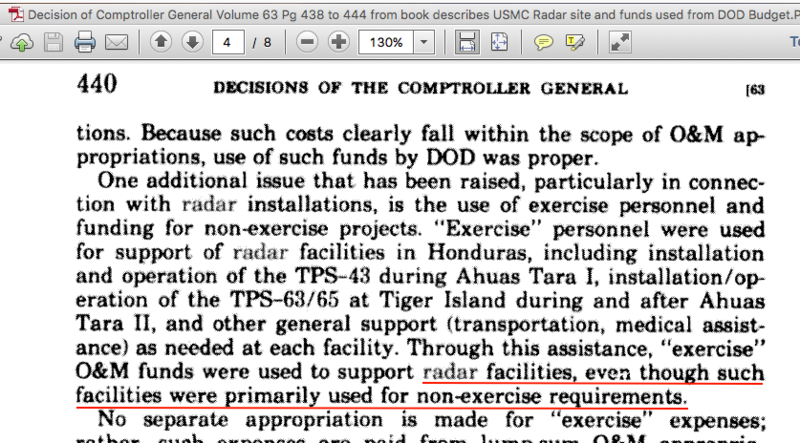 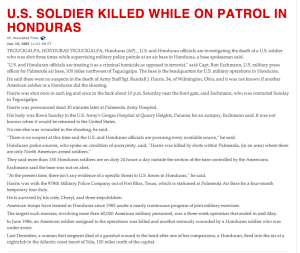 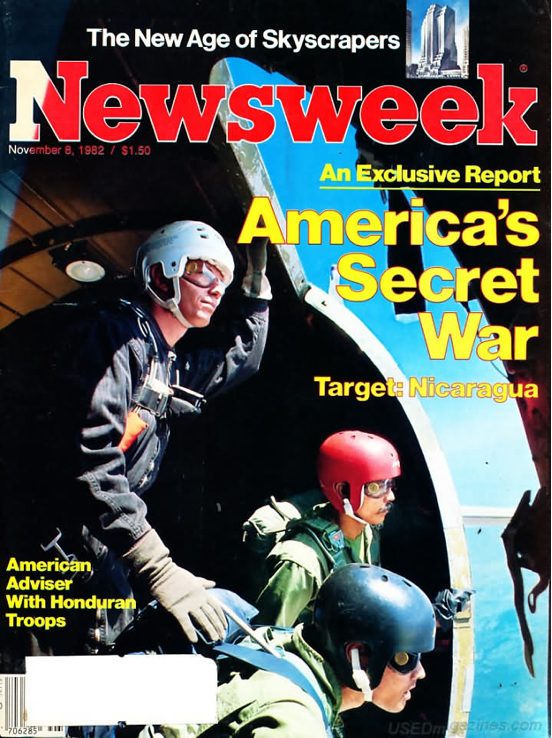 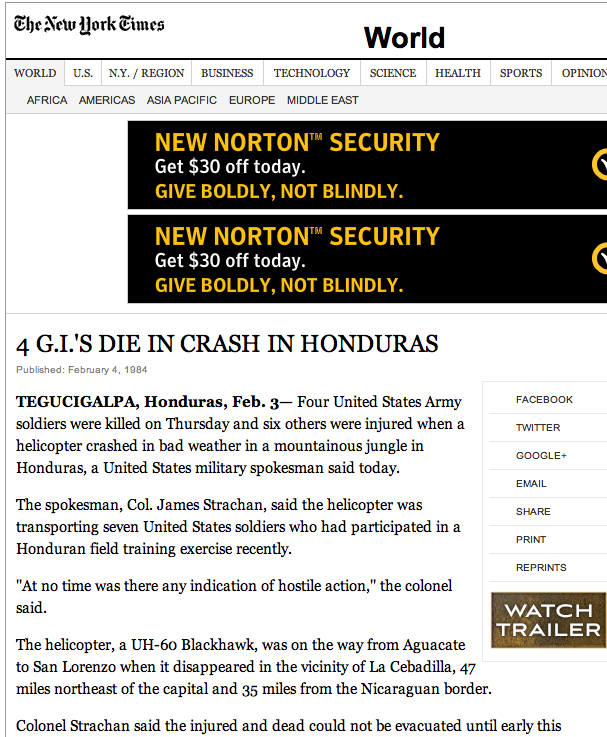 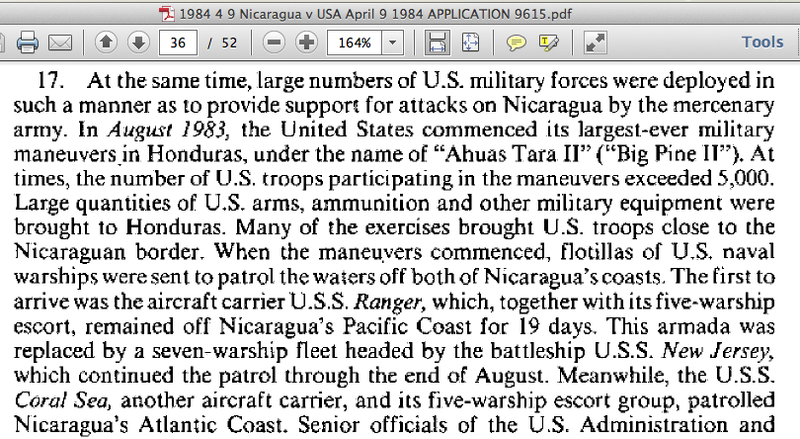 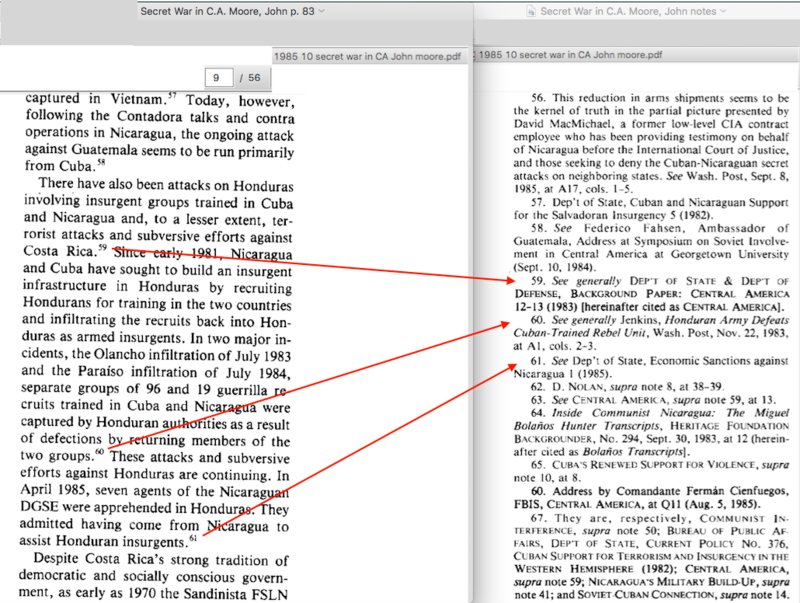 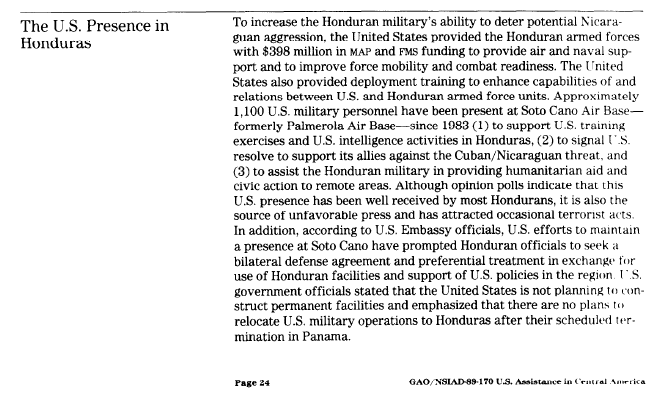 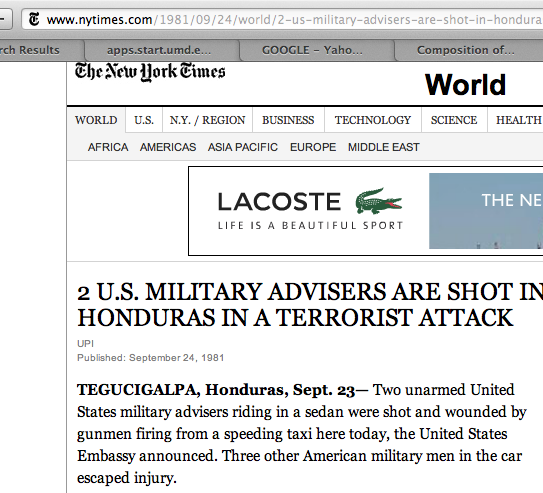 Honduras operations were part combat & part noncombat as during any conflict. 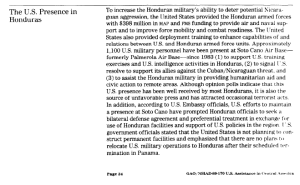 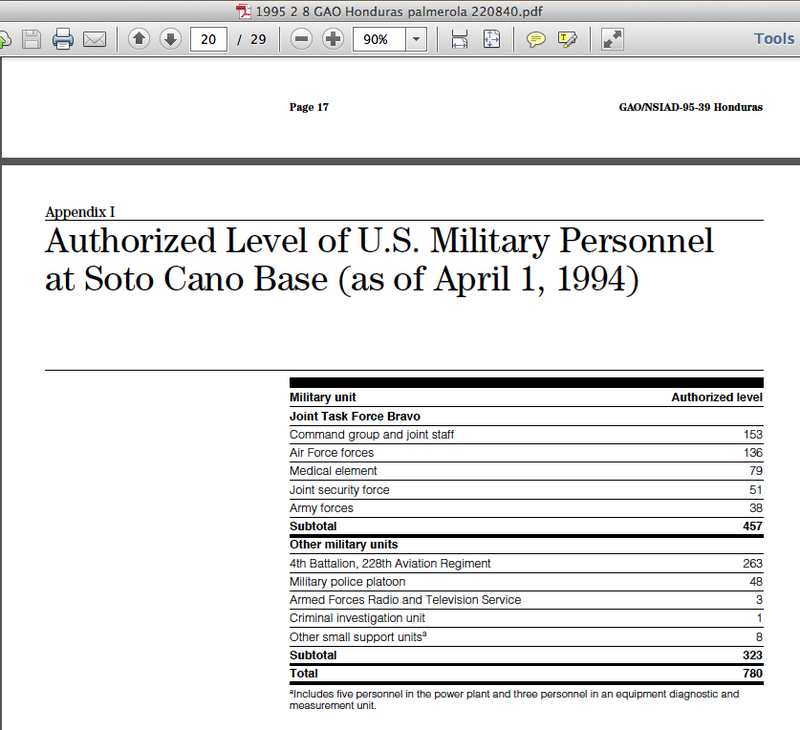 Personal Security and Force Protection Standards For All U.S. military personnel assigned to Joint Task Force-Bravo, Honduras – Central America War. 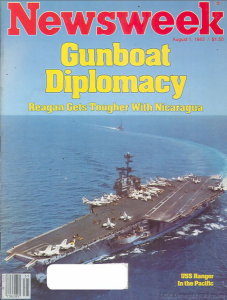 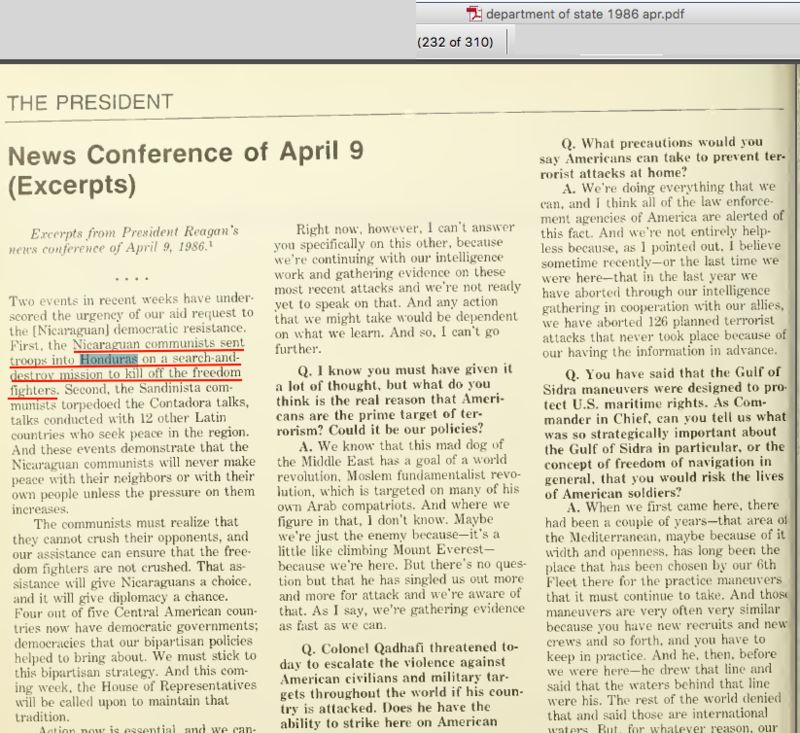 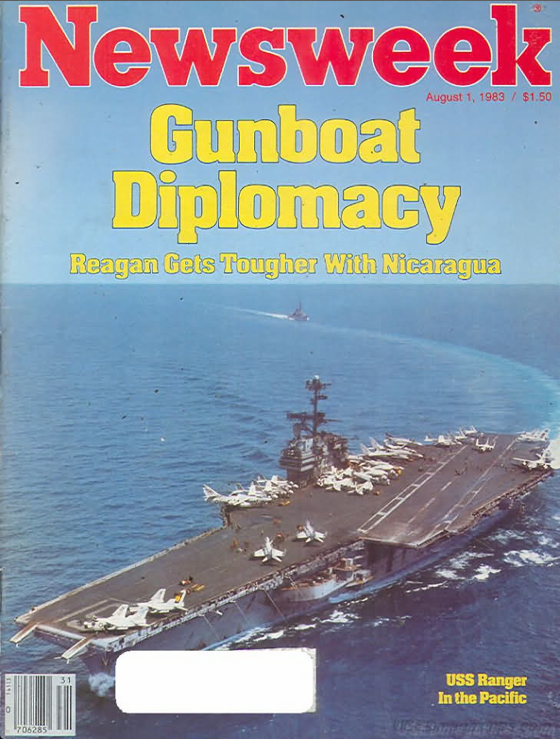 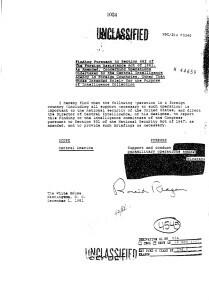 From the President Reagan files. 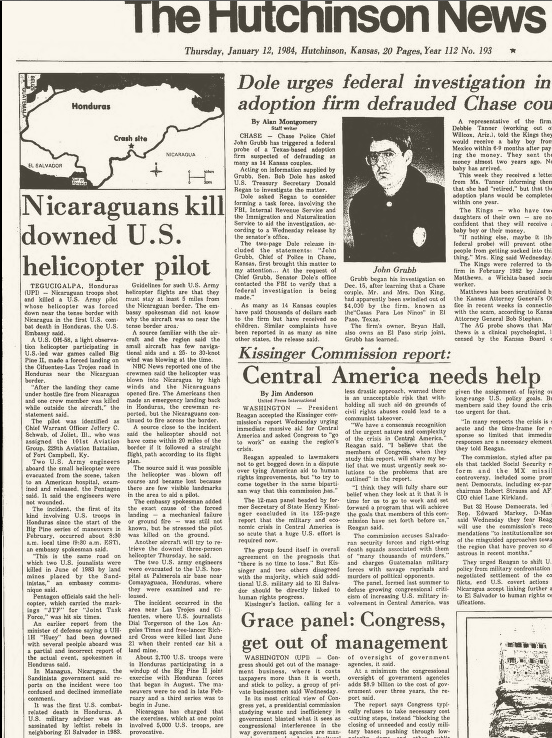 There is no record found of these three missing Americans or the missing plane and possible crash. 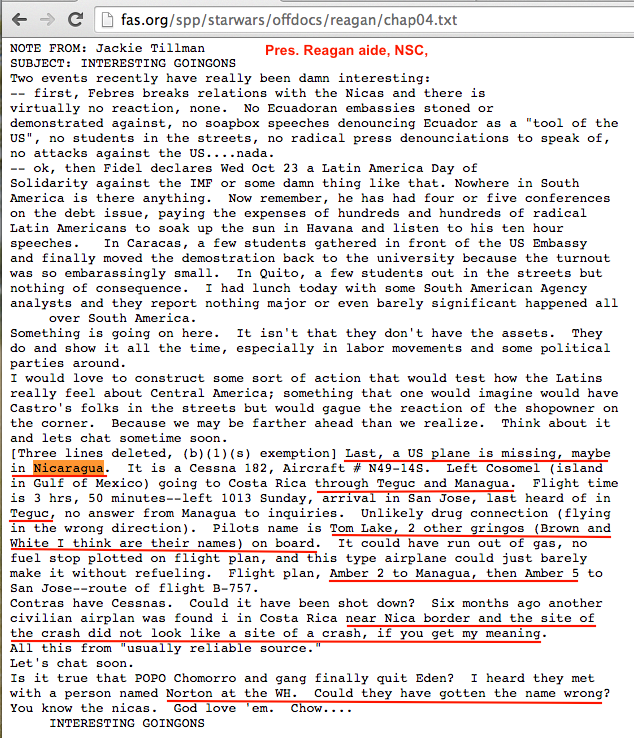 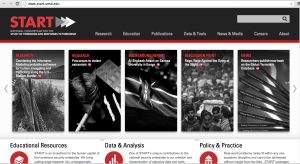 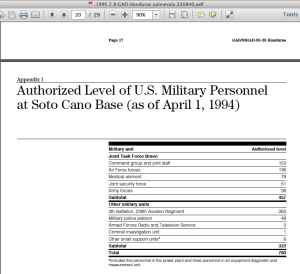 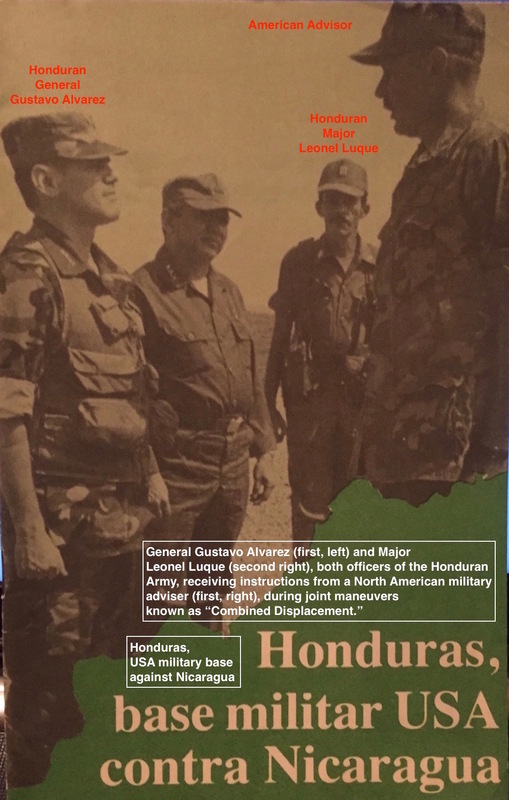 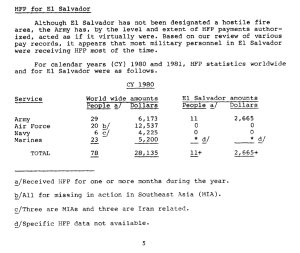 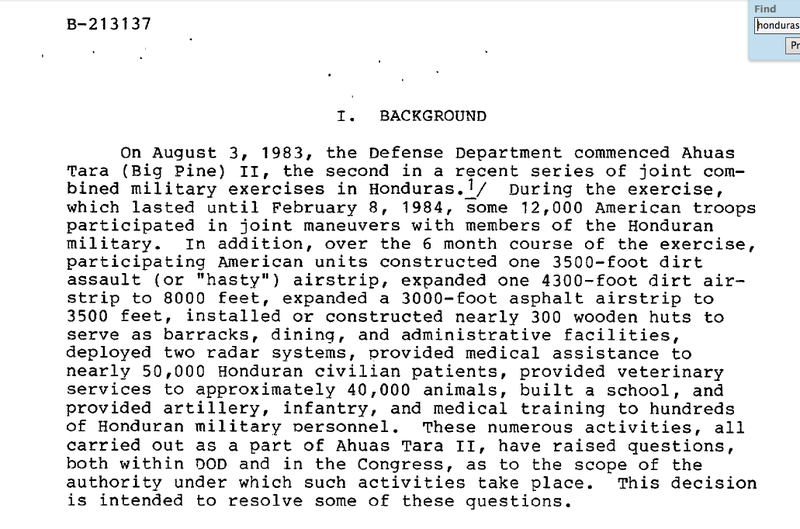 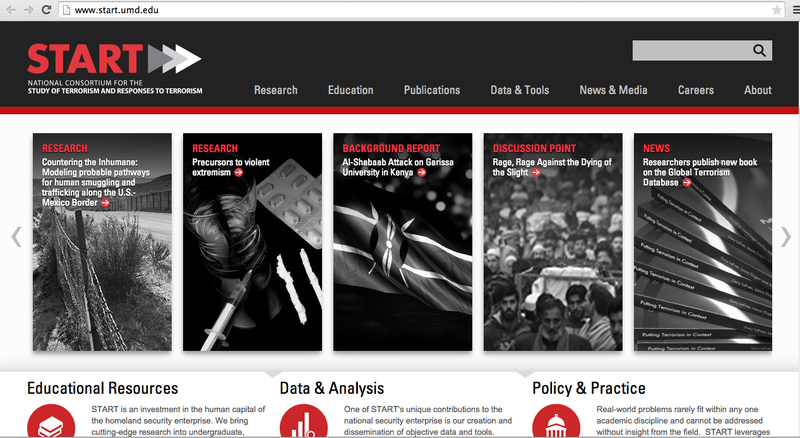 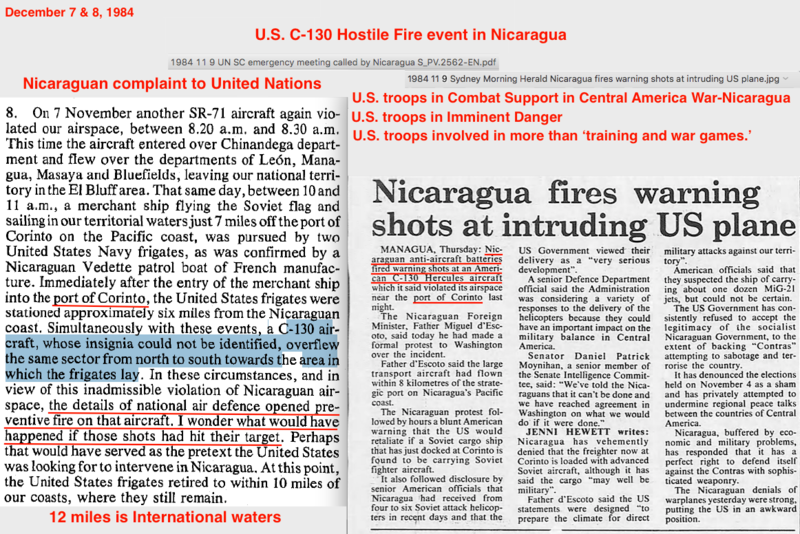 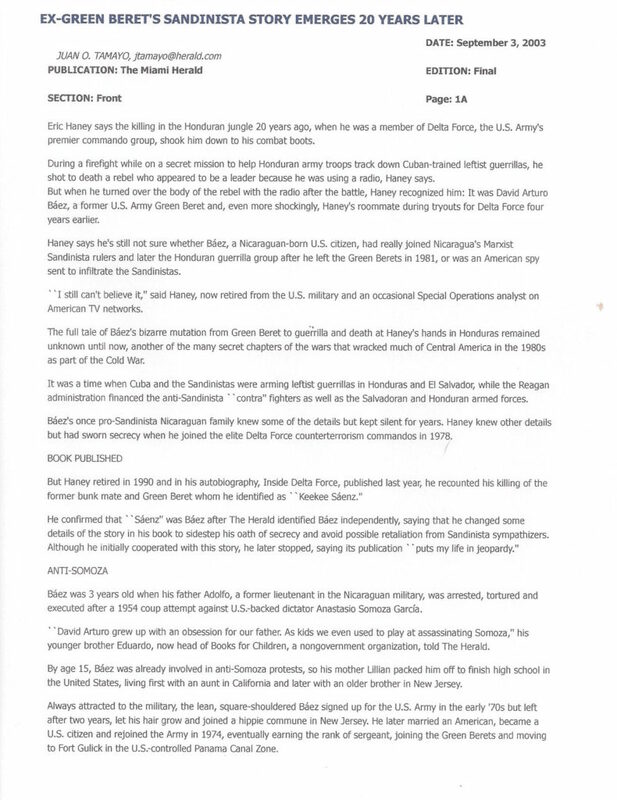 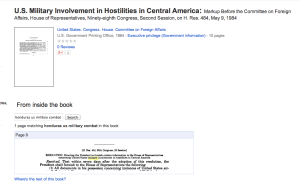 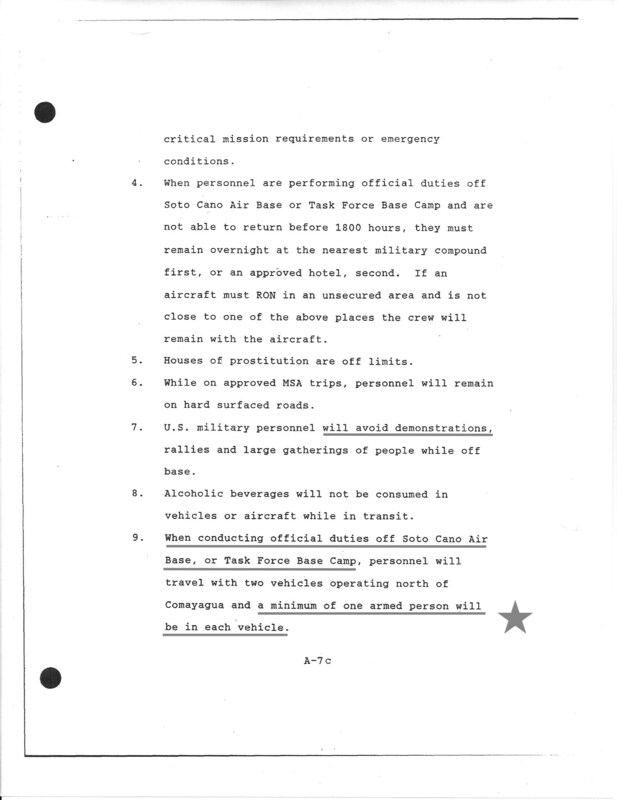 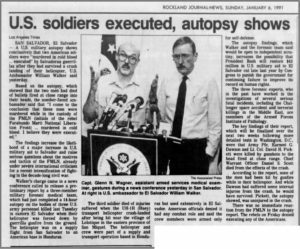 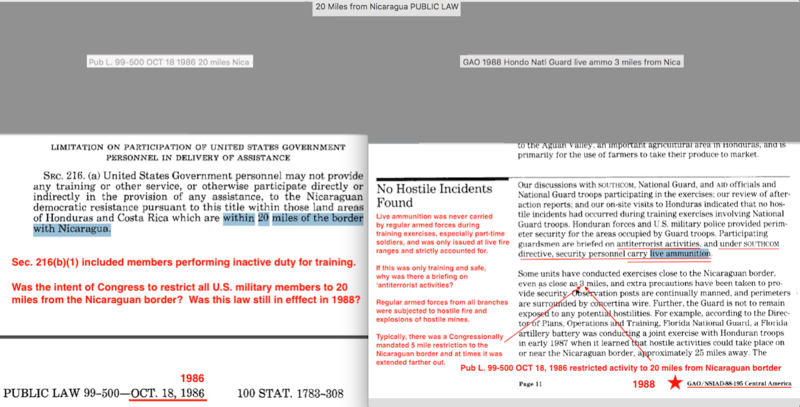 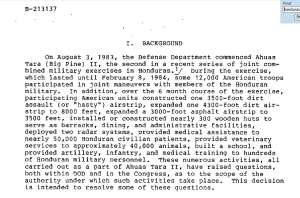 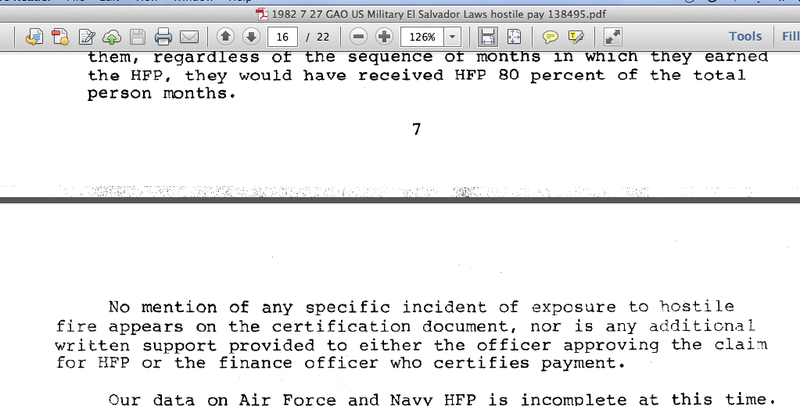 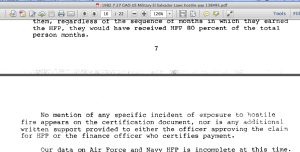 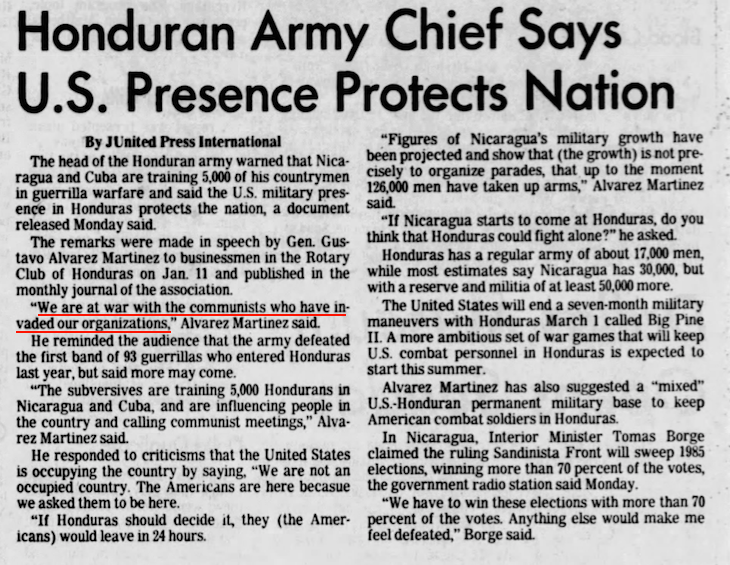 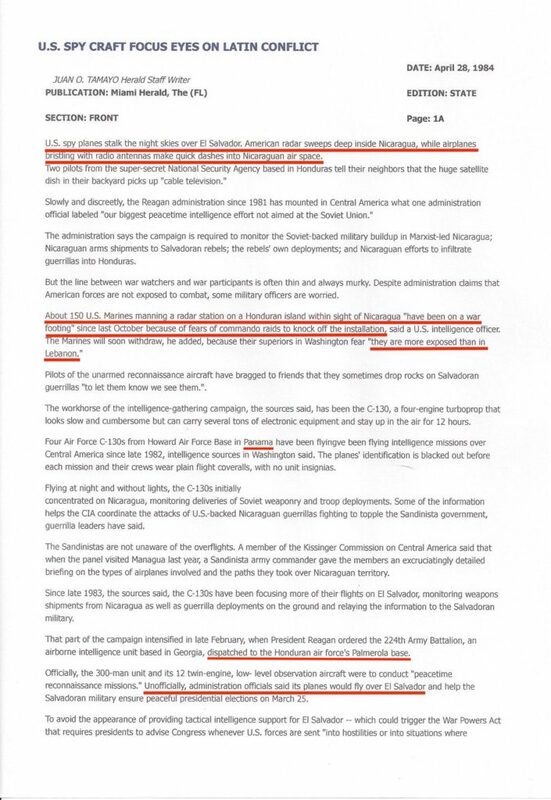 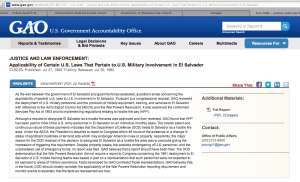 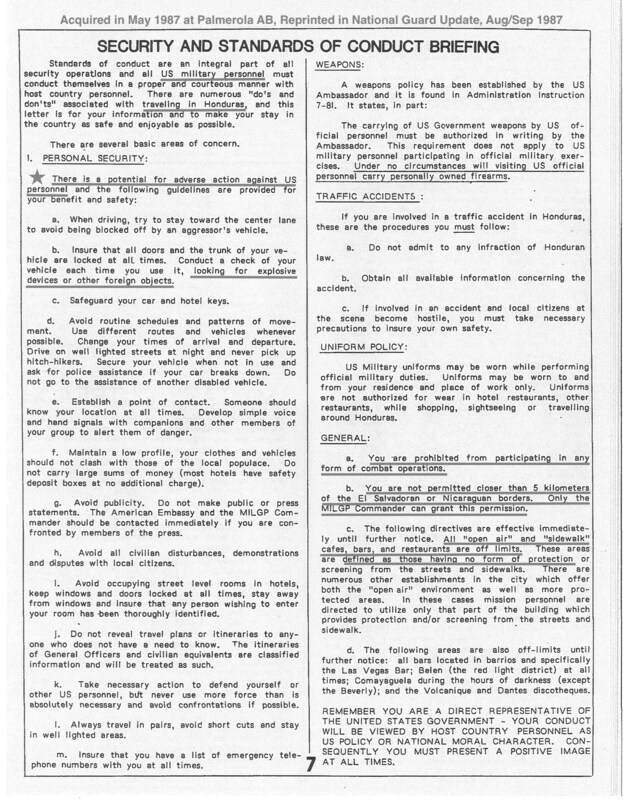 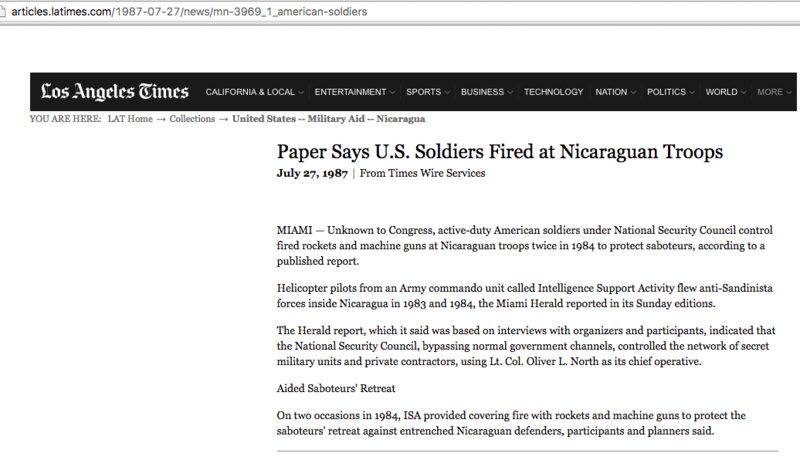 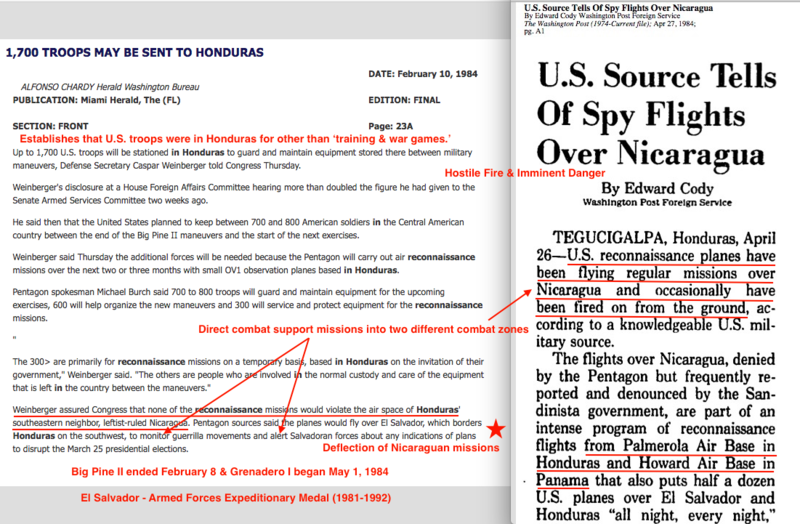 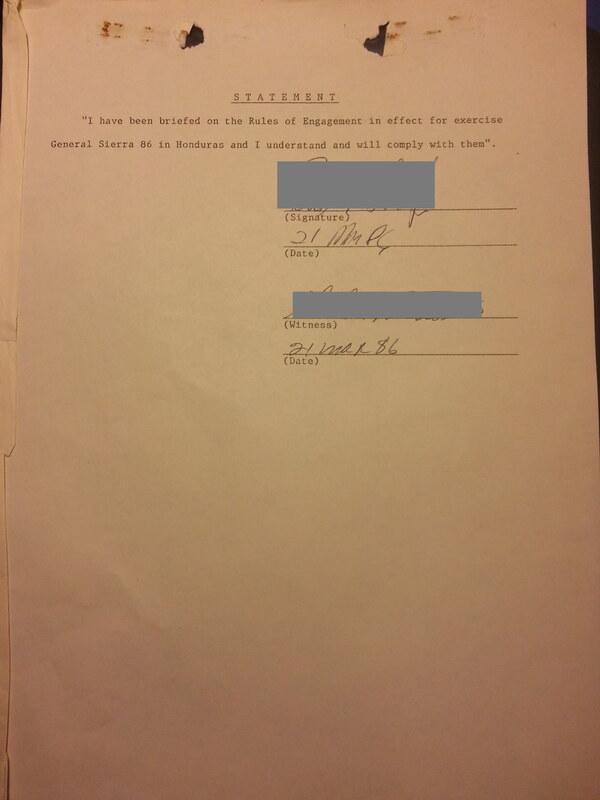 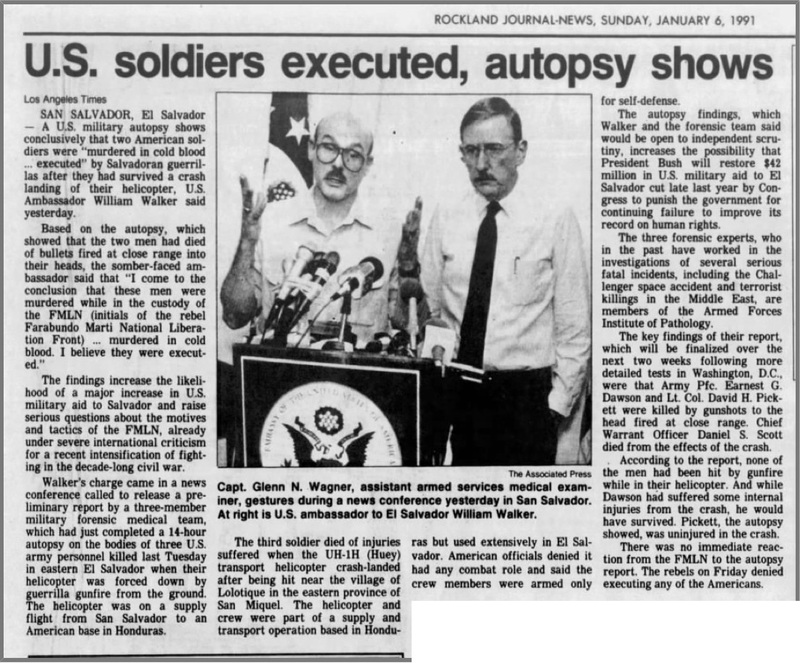 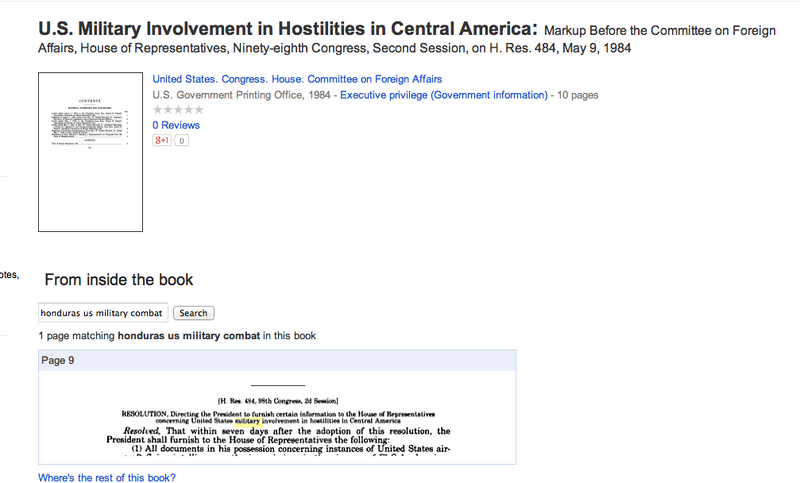 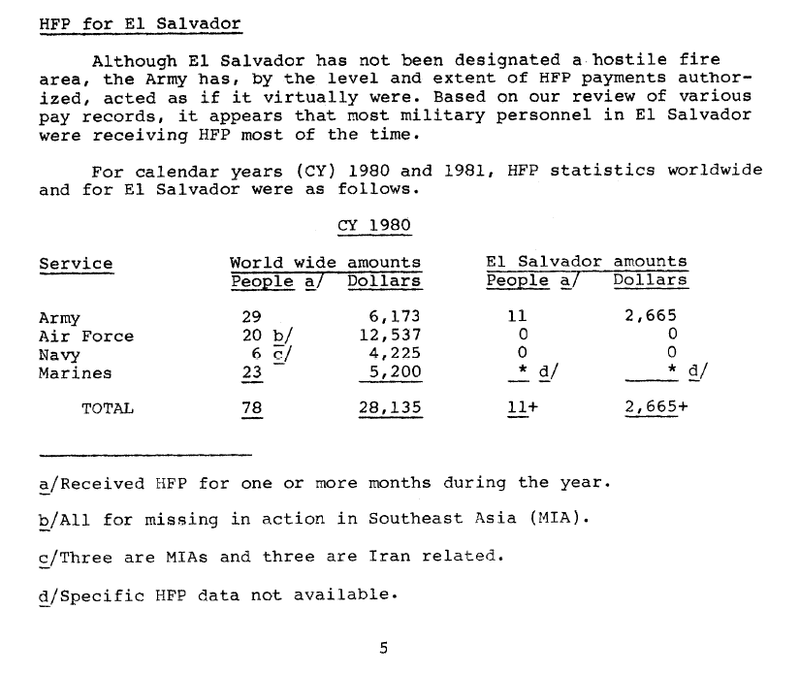 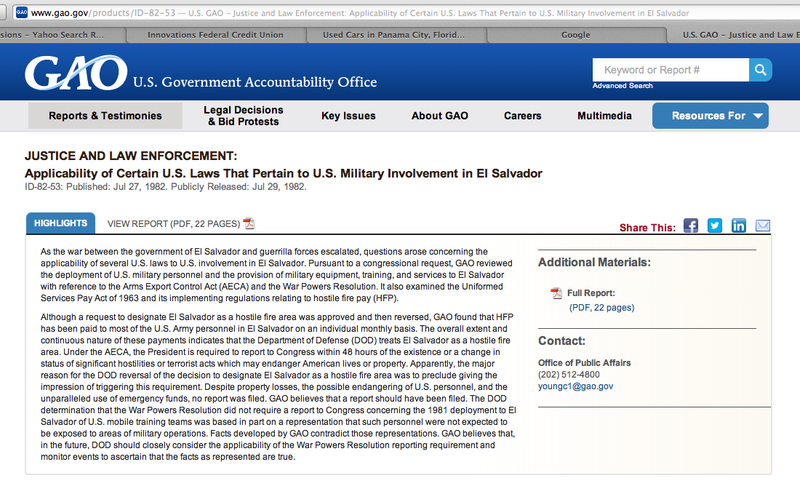 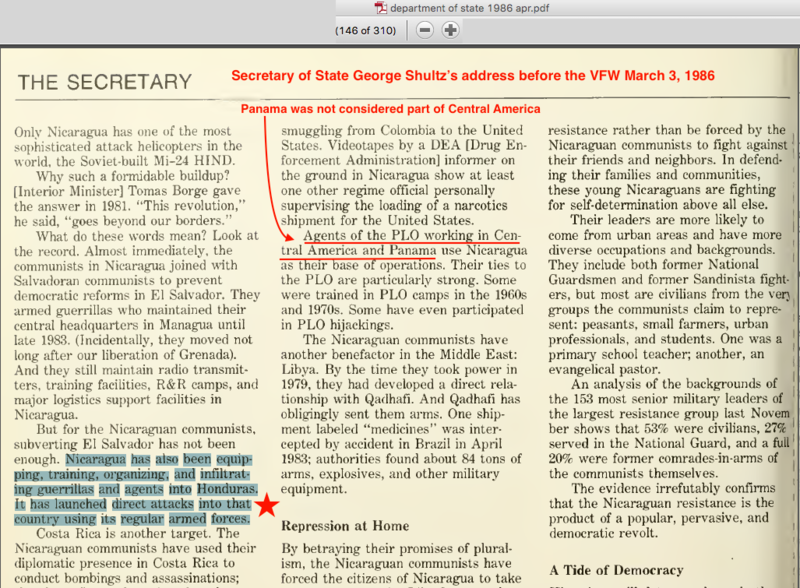 This rare document establishes that more than ‘training and war games’ were ongoing in Honduras. 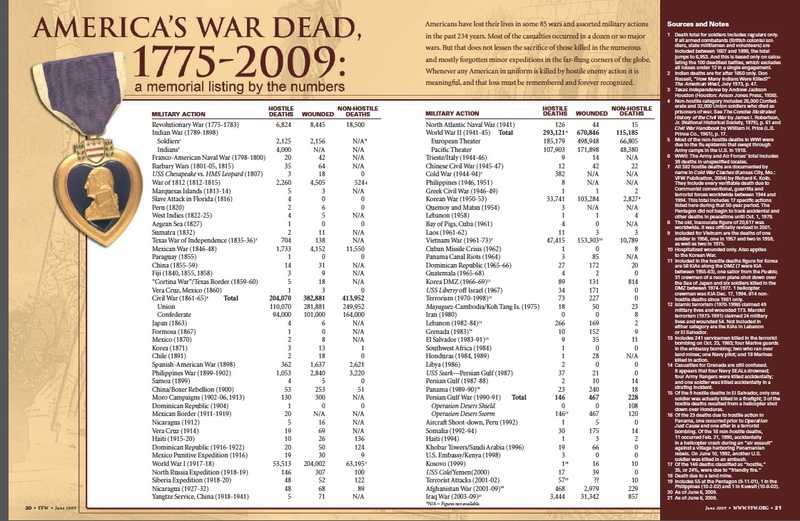 Please help the C.A. 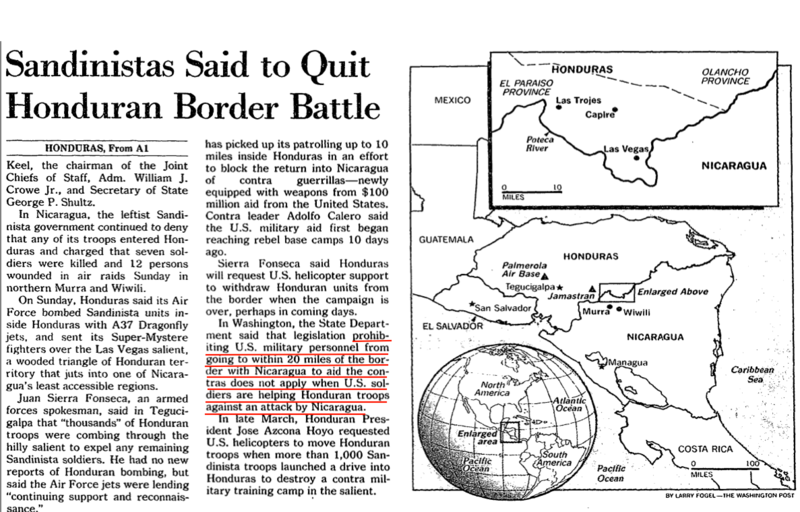 War veterans advocate for recognition as Veterans of this Low-Intensity Conflict by sending a letter to your U.S. Congress or Senate representative in support of our mission by asking Congress to issue a Armed Forces Expeditionary Medal to all U.S. troops who served in Honduras from 1981 to 1992. 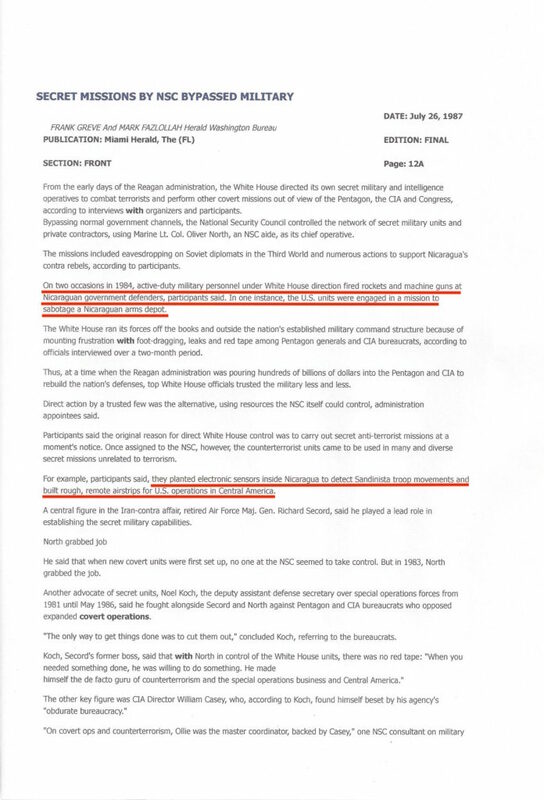 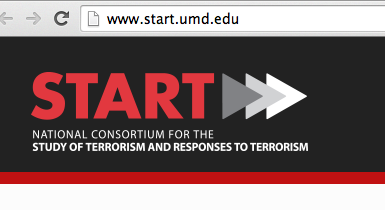 This will help the families of the killed and wounded and those veterans attempting to receive proper combat honors and recognition for our sacrifices during the decade that ended communism.